I’ve included this album in the progressive rock section of Music Street Journal, and frankly, I’d stick by that decision no matter what. That said, there are definitely some sections that are closer to stoner metal. Still, there are almost pure progressive rock and space rock moments. In my opinion, just that kind of diversity of sound qualifies this thing as prog. I’d also have to say that I really love this disc. If I had heard this last year when it was released it would have probably made my “Best of 2012” list. Either way, if you like adventurous music with heavy metal and other sounds built into it, this is highly recommended by me. A short little keyboard bit opens this. Then a heavy jam like stoner metal pounds in from that point. Keyboards create more prog-oriented elements over the top at times. Yet, it also drops back to the more stripped down format of this sound at times. Around the three and a half minute mark that section ends and we get a more pure progressive rock jam (with some psychedelia). It works out from there with the sounds growing nicely. The vocals, also quite psychedelic join. They work through some variant themes as this continues. The connections and melding of progressive rock with psychedelic and even stoner metal is quite intriguing and effective. Around the six minute mark they take it to an energized jam that really nicely combines the stoner metal with retro prog stylings. It’s kind of like blending Red era King Crimson with old-school Black Sabbath. 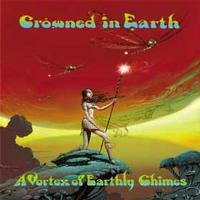 After that, though, it gets worked out to something like a cross between Hawkwind and dark metal. A more purely progressive rock jam eventually emerges later. At over twelve minutes in length this thing is of epic length and that space is used for a lot of variety. There’s a false ending after that jam and then it works back into some of the more pure prog sounds like we heard earlier. Eventually that segment gets modified to take the track out in style. Another extended (eleven and a half minutes) cut, this one leads off in something that’s quite metallic and it works through a couple changes and variants within that musical territory. Then, a little after the minute and a half mark, it shifts out into a mellow balladic motif that is very much progressive rock. The vocals that join are sort of part Hawkwind and part Captain Beyond. We get more metallic thunder as a punctuation mark after the first verse. Then it turns to some intricate mellow prog sounds again for more vocals. A return to the metal gives way to a mellow jam that’s stripped back and quite space rock oriented. They continue to shift between proggier sections and more metallic ones as this thing works through numerous changes. Around the six and a half minute mark there’s a dramatic shift as they take it to a pounding kind of psychedelic rock jam. It gets an infusion of metal as they continue. More merging of sounds continues and we get a return to vocal driven music. This time it’s very psychedelic. Around the ten minute mark it launches out into a killer prog jam to eventually take it to a final burst of that metallic jam to end it. This is the shortest song on the album. Given that it’s almost six minutes in length, that says a lot. There is definitely a Hawkwind kind of vibe to the hard rocking space jam that makes up the bulk of this. This cut doesn’t shift and change as much as a lot of the album. It’s got a riff driven section that’s alternated with that Hawkwind-like movement. There is a psychedelic meets stoner metal segment later, though. While the metal is still prevalent here, this is a killer psychedelic rock jam more than anything else. A little over a minute in they turn it to pure psychedelic prog and the vocals come over the top. After a killer psychedelic jam they take it into a short pure prog movement. Then it pounds into more metallic territory. Eventually they bring it back to the vocal segment from there. There’s one more short instrumental movement before they end this. Powering in like stoner metal, the progressive rock elements are built on top of that during the extended introduction. Around the one minute mark it drops to a bass guitar dominated section. A vocal section emerges and then the piece works into a psychedelic meets stoner metal jam from there. Around the three and a half minute mark, this powers out into a real prog jam and keyboards tend to dominate. There’s a killer guitar driven, expansive prog jam around the six minute mark that takes things through some more changes. Vocals return later and the cut works through some more evolution. As the piece continues, it really does a great job of moving between and merging progressive rock, psychedelia and stoner metal.